You couldn’t help it. There wasn’t a cell phone in your pocket, your relatives didn’t have AOL, and there was nothing better to do on a Wednesday night than watch summer reruns of Home Improvement. Week after week, the offbeat characters of America’s favorite sitcom warmed their way into our hearts whether we wanted it or not. Even casual fans of the show had a favorite character. Was it Randy, the smartass pre-teen? Wilson the mysterious all-knowing neighbor? Or was it Al Borland, the clueless voice of reason you couldn’t help but like and pity at the same time? These were all fun characters, of course, but there was another element of the show that stood out on its own: Al’s beard. This is the Al Borland look most people expected to see. 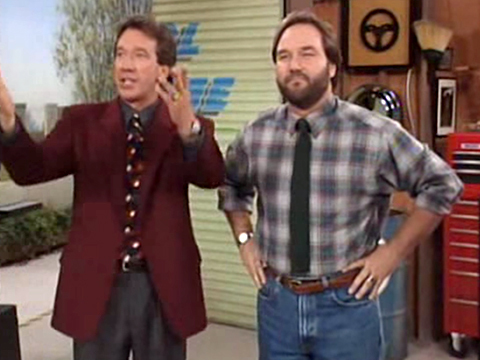 Likely as a nod to real-life home improvement TV host Bob Vila, actor Richard Karn sported a beard and flannel shirts in nearly every episode of the ABC series as he portrayed his Al Borland character. In fact, the beard seemed to be such a standard part of the show that audiences never even stopped to consider what it would be like without the neatly trimmed hair. That’s when it happened. In an episode aired April 6, 1994, the characters were celebrating the anniversary of Tool Time, the most memorable show within a show ever. 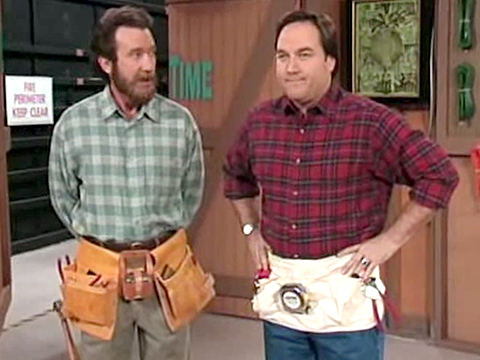 To celebrate their anniversary, Tim Taylor and Al Borland looked back on the first ever episode of Tool Time. All the elements seemed so primitive. The set was sparse, an old woman was the Tool Time ladies’ predecessor, and Tim seemed pretty square. He was sporting a beard that gave him a Paul Bunyon appearance. Alone on the stage, Tim set the premise for the fictional series and introduced his newly hired sidekick. That’s when Al Borland walked through those infamous Tool Time doors… absolutely clean shaven. Wow, what a clean cut! It caught everyone by surprise. The studio audience lost their minds. They were stunned. The actors had to pause longer than they clearly anticipated do the reaction. Families across America talked about this episode all through the weekend. It was almost as if Tim and Al had swapped facial hair. This gag worked because so many viewers knew enough about the characters to make it funny. On paper, whether or not the actors had beards isn’t necessarily a funny premise. The creative team behind Home Improvement trusted their instincts that fans would find the humor in the legendary beard swap and their risk paid off. People were tickled funny to see Richard Karn enter the stage sans-beard. The infamous beard swap of 1994. There are many moments in life where you will always remember where you were – your first kiss, your wedding, your last words. Where were you when Al Borland showed up without a beard? 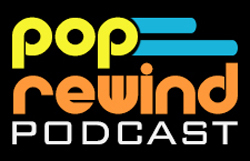 PopRewind.com: We’ll take you back!